Some of you may be noticing a theme appearing throughout my recent posts.. something to do with Hannibal, and the Great Red Dragon.. 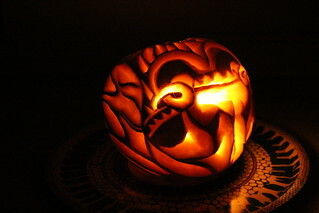 So, obviously, I’ve gone ahead and attempted to recreate the William Blake painting “The Great Red Dragon And The Woman Clothed With The Sun” in pumpkin form – for Halloween! I drew it freehand on the skin of my pumpkin – using a red sharpie (other permanent markers are available!). 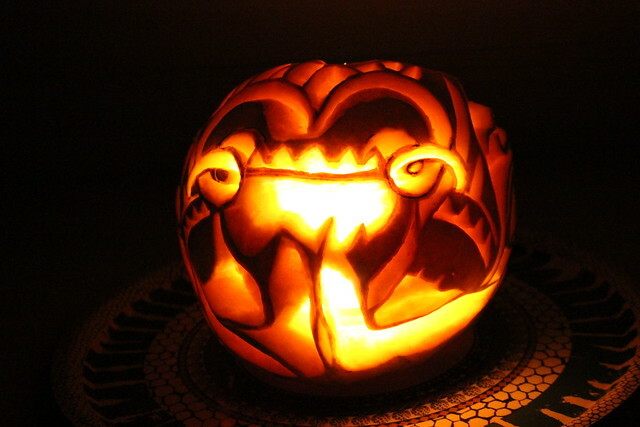 I then had to figure out which bits to carve all the way through – the highlights – and which to only carve half the depth through the pumpkin flesh – the mid-tones. And different depths for shading effects. Leaving the lines and darker shadows with the skin still attached. 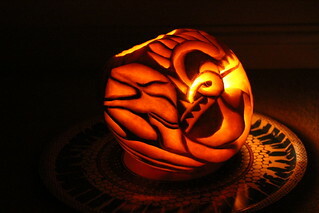 Red Dragon Pumpkin: Left 1. 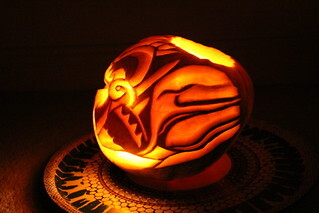 Red Dragon Pumpkin: Left 2. 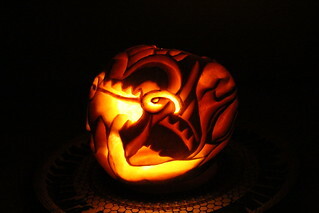 Red Dragon Pumpkin: Right 2. 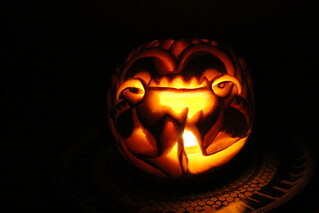 Red Dragon Pumkin: Right 1. Next Post: Hamlet Barbican: Benedict Cumberbatch. Review.